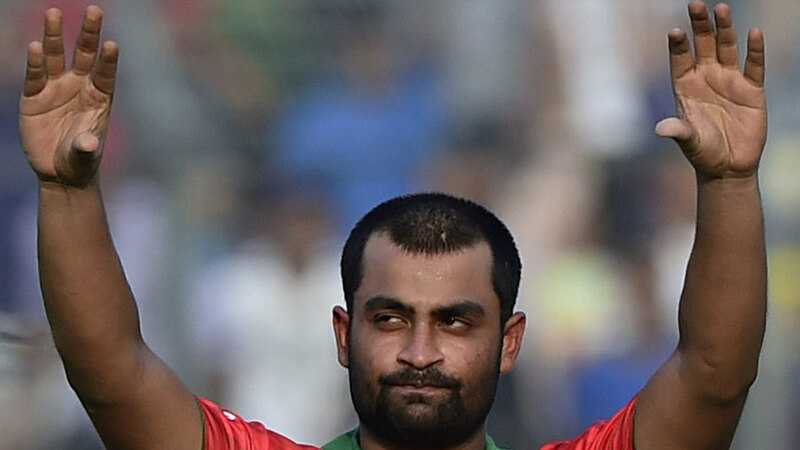 Tamim Iqbal, the Chittagong Vikings captain, and Azizul Islam, the Sylhet Super Stars owner, will both be fined for their altercation during the BPL match on November 23. BCB disciplinary chairman Sheikh Sohel said the fines would be announced after the Bangladesh-Zimbabwe T20 series. Sohel added that Azizul would face a bigger penalty than Tamim, who he said should have shown more restraint when provoked by Azizul. At the end of a chaotic game in which Sylhet tried to field two players who were not part of the team sheet provided at the toss, Tamim alleged that Azizul had abused him. BCB had delayed investigating the incident until the end of the tournament, after which BCB president Nazmul Hassan had said the discipinary committee had completed their report on the incident. "I apologise for taking too long on the Tamim issue," Sohel said. "I spoke to the media and I also spoke to the cricketers, the BCB staff and senior BCB officials present at the ground during the incident. I have decided that both will be punished, fined to be specific. "From what I have gathered after speaking to everyone, both were at fault. Tamim should have shown more patience. He is a national cricketer and also a BPL icon. No matter what anyone says, he has to show patience. He shouldn't have behaved like that on a cricket ground." Sohel said Azizul would also be punished for entering the ground unlawfully. "How does a franchise owner enter that area? He doesn't have the right to get near a cricketer or speak to them. He will be punished for that too. "Because the team owner entered the field unlawfully and behaved badly with the national team cricketer, he will be fined more. It wouldn't have gone that far had he not started it." BPL technical committee chairman Jalal Yunus and CEO Nizam Uddin had said after the match that Sylhet's misdemeanor of trying to field two cricketers without the prerequisite NOCs and not having mentioned their names in the team sheet at the toss would also be investigated. Sohel, however, did not mention whether the BCB disciplinary committee would punish Sylhet for this misdemeanor or not.